hey guys, i want to clean my throttle body. your throttle body is the piece that sits between your intake pipe and intake manifold... to clean it... all you need to do is... remove your intake piping... and you basically just clean that metal piece out... use throttle body cleaner... but i also used rubbing alcohol.. works fine. Easier to clean if you remove it from the vehicle. But since you didn't even know where it was, don't bother...lol. 1998 dx engine $500 CLEAN CLEAN engine!!! 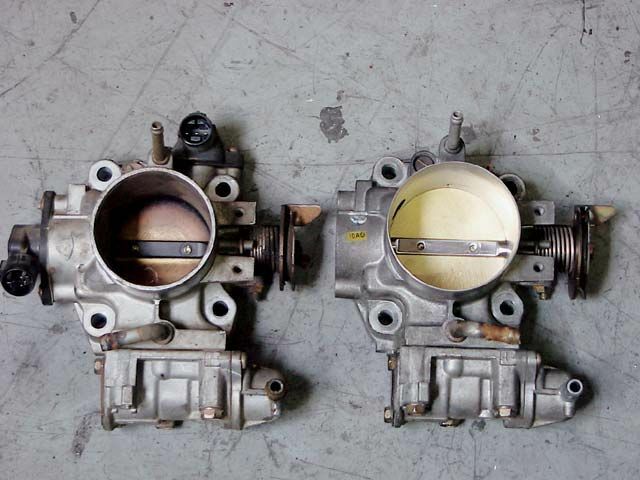 Quick Reply: How to clean your throttle body?